The Division of Physical Resource Theory conducts interdisciplinary research and education in several fields related to sustainable development. Its work ranges over climate science, energy modeling, industrial ecology, and complex systems. The researchers at the department are strongly involved in Focali (Forest, Climate, and Livelihood research network), a Swedish Sida funded research network focusing on forest/bio-energy, climate change and poverty issues. More information on Focali below. 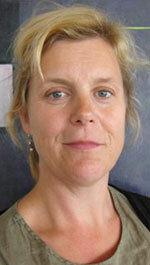 Associate Professor Madelene Ostwald is a guest researcher at the department. She has a strong interest in South Asia, her doctoral thesis in 2000 focused on the effect on forest and people connected to local forest protection in Orissa, India. In recent years, she has written about issues such as Barriers to plantation activities in Southern India, and deforestation in Sri Lanka. See a detailed presentation. Madelene Ostwald has also been connected to the Department of Earth Sciences, University of Gothenburg – but more recently been working at the Centre for Climate Science and Policy Research (CSPR), a joint venture between Linköping University and the Swedish Meteorological and Hydrological Institute (SMHI) in Norrköping. More information on her current research at CSPR. Besides, Madelene is also a member of the Steering Committee of Tellus, a Science Faculty Platform at Göteborg University, and Research leader for the national Swedish research network Focali – Forest, Climate and Livelihoods (more information below). Dr. Ostwald coordinates a major research programme entitled ”Land use and forests within international climate policy – global and local possibilities and risks”, and includes field work in India and Sri Lanka. It is funded by the Swedish Energy Agency (STEM) with a grant of SEK 6.6 m for the period 2012-2014. It is a collaboration between the Division of Physical Resource Theory, and Centre for Environment and Sustainability (GMV) – also at Chalmers University of Technology ; the Environmental Economics Unit at University of Gothenburg; Centre for Climate Science and Policy Research (CSPR) at Linköping University; Indian Institute of Science (IISc) in Bangalore, India; Peradeniya University in Sri Lanka; and University of Life Science, Ås, Norway. 1. Analysis of indirect land use change in a time of growing demand for land. The development of international climate policy has caused a growing interdependence between these issues and the need for a broad, multi-sectorial landscape perspective is becoming more pressing. In international climate policy, issues of bioenergy production and forest conservation have come to represent two sides of the same coin. Handling this entanglement requires relevant methodologies and functioning institutions for monitoring, reporting and verification (MRV). At the Division of Physical Resource Theory, the other researchers now involved in the project are Dr. Eskil Mattsson and Dr. Matilda Palm. Both of them share with Madelene Ostwald previous work experience at the Department of Earth Sciences, University of Gothenburg. More information about them below. In South Asia, the major research partners are Professor N. H. Ravindranath at the Centre for Ecological Sciences, IISc; and Dr. S.P. Nissanka and Professor Buddhi Marambe at University of Peradeniya, Sri Lanka. This is a follow-up programme of previous projects on the same issue during the years 2004-2010, entitled ”Land use, land-use change and forest in an extended context beyond Kyoto”. These projects were also funded by the Swedish Energy Agency, and were even more global, including researchers from Sao Paulo University in Brazil, and Massachusetts Institute of Technology, Cambridge, USA. Eskil Mattson defended his PhD thesis in Physical Geography entitled “Forest and land use mitigation and adaptation in Sri Lanka – aspects in the light of international climate change policies” at the Department of Earth Sciences, University of Gothenburg on Friday 30 March 2012. The aim of the dissertation project was to investigate monitoring aspects to deforestation and degradation in developing countries, with a focus on Sri Lanka. More information about his research at University of Gothenburg. After completing his PhD, Eskil Mattsson moved to Chalmers University of Technology in January 2013, where he is doing post-doc research, still focusing on Sri Lanka. The post-doc project is entitled “The Use of Marginal and Degraded Lands and Multifunctional Land Use Strategies in Sri Lanka” and is of the Swedish Energy Agency funded programme described above. The aim of the project is to investigate if the locally accepted land use system of ‘homegardens’ in Hambantota district in southern part of Sri Lanka have the potential to serve several purposes: to mitigate the effects of climate change by sequestering carbon and to increase adaptation by extending and intensifying homegardens to low-productive and degraded lands for potential environmental benefits such as protection against natural hazards and increased income from higher productivity of the lands, food security and ecosystem services. More information on Eskil Mattsson’s web page. An report on the topic was published by Eskil Mattsson and his colleagues, Madelene Ostwald, S. P. Nissanka, and Buddhi Marambe in Ambio, March 2013. The report is entitled ”Homegardens as a Multi-functional Land-Use Strategy in Sri Lanka with Focus on Carbon Sequestration”. It explores the concept of homegardens and their potential functions as strategic elements in land-use planning, and adaptation and mitigation to climate change in Sri Lanka. The ancient and locally adapted agroforestry system of homegardens is presently estimated to occupy nearly 15 % of the land area in Sri Lanka and is described in the scientific literature to offer several ecosystem services to its users; such as climate regulation, protection against natural hazards, enhanced land productivity and biological diversity, increased crop diversity and food security for rural poor and hence reduced vulnerability to climate change. Read the report. Dr. Matilda Palm defended her doctoral dissertation entitled ”Land Use in Climate Policy – Forest Based Options at Local Level with Cases from India” at the Department of Earth Sciences, University of Gothenburg in 2009, and is now also working as a post-doc at the Division of Physical Resource Theory, Chalmers University of Technology. Her research now focuses less on South Asia than Vietnam. She is also connected on a part time basis to the World Agroforestry Centre (ICRAF) as a researcher where she conducts technical coordination of field activities for the project Rewards, Use and Co- Investment for Environmental Services (RUPES) in Vietnam. More information on Matilda Palm’s research. On 5 December 2013, Matilda Palm was granted SEK 5.390 million as funding for a project partly focusing on India, entitled ”Cultivating Resilient Landscapes – Opportunities for Restoring Degraded and Vulnerable Lands with Agroforestry Systems in India and Vietnam”. The four-years grant (2013-16) comes from the Swedish Research Council for Environment, Agricultural Sciences and Spatial Planning (Formas) and the Swedish International Development Cooperation Agency (Sida). It is one out of seven Swedish research projects addressing sustainability issues in the fields of natural resource use and governance, increased agricultural production, and environmental management in low-income countries. The projects specifically provide mobility grants for young researchers, and they are based both within the social and humanistic sciences as well as the natural sciences, and the overall intention is to contribute to development of new knowledge that will support global sustainable development, and to promote capacity building long-term cooperation between Swedish researchers and researchers in low-income countries. Three of the projects involve research collaboration with partners in India. More information. The project will be carried out in close collaboration with Prof. Ruth DeFries and her research group at Columbia University, USA, and the World Agroforestry Centre (ICRAF). Matilda Palm plans to spend one out of the four project years at Columbia University. She will also collaborate with the Center for infrastructure, Sustainable Transportation and Urban Planning (CiSTUP) at Indian Institute of Science (IISc) in Bangalore. Project abstract: Shifts in global land use have led to loss of biodiversity, ecosystem services and land degradation. In many geographical areas the deterioration is very serious scale and the impact is huge, both in terms of food production and deforestation. The proposed research will identify opportunities for ecological restoration by analysing how an expansion of agroforestry management onto degraded land may reinstate productivity and ecosystem services. 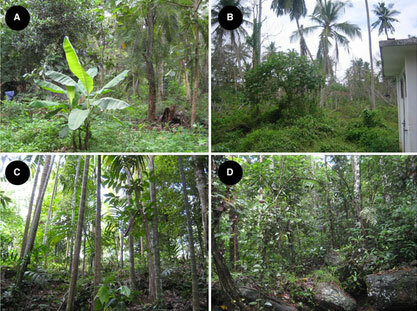 Reforestation as a restoration alternative has been widely recognized, however, the provision of ecosystem services may be limited. Agroforestry, in contrast, offers the possibility to generate a wide variety of both environmental and socioeconomic benefits, and through that also a higher potential of success. With a combination of qualitative and quantitative approaches the project will capture a broad spectrum of drivers of degradation as well as possibilities to overcome obstacles that hinders restoration. I will make a comprehensive assessment of opportunities and risks associated with ecological restoration of degraded land. More specifically, my aim is to propose practical solutions for restoration of degraded land with a focus on multiple ecosystem services based on comparative field research from India and Vietnam. During the Spring semester (till June 2016) Matilda Palm is based at Columbia University in USA. Focali focuses on forest/bio-energy, climate change and poverty issues. Several Swedish universities and institutions are represented in the network. Focali is a part of The Forest Initiative – a strategic partnership between the Swedish International Development Cooperation Agency (Sida), the Swedish Forest Agency, and the Swedish Forestry Association. It aims at creating a multidiciplinary and broad knowledge base within the focus area. The Secretariat coordinates Focali’s research and is located at the The Centre for Environment and Sustainability, GMV, in Gothenburg. The Secretariat is responsible for project management, research management and coordination. Anders Ekbom is the project manager, Madelene Ostwald is the research leader and Maria Ölund is the coordinator. The Division of Physical Resource Theory is a strong partner institution in the network. The network communicates knowledge and increases the flow of relevant information between scientists, industry, government and civil society in order to set up and reach climate and poverty relevant targets. One of the purposes of Focali is to serve as a link and interface between academia, government authorities, industry and civil society. It is being hosted by the Centre for Environment and Sustainability (GMV), a joint network organisation at Chalmers University of Technology and University of Gothenburg. Departments of Earth Science; Human and Economic Geography; Plant and Environmental Science; Economics; School of Global Studies. Eskil Mattsson and Matilda Palm participated in the World Congress of Agroforestry in New Delhi, 10-14 February, which brought together more than 1,000 researchers, policy-makers, donors and members of civil society. The World Congress on Agroforestry, co-hosted by the World Agroforestry Centre, the Indian Council of Agricultural Research and the Indian Society of Agroforestry, aimed to raise the local, regional and global profile of agroforestry practices and significantly increase engagement and investment in them. There is growing recognition of the value of agroforestry – integrating trees with crops – for restoring ecosystem services and improving livelihoods. Agroforestry is of particular interest in the context of the “landscape approach”, which recognizes that the forests, farms, pastures and human settlements all share resources within a landscape, and all play roles in both ecosystems, and human well-being. That means that trees on farms and in home gardens, for example, are as valuable as those in forests. At the conference, Eskil Mattsson and Matilda Palm presented their work on tropical homegardens in Sri Lanka and Vietnam. Together with Focali and the Swedish International Agricultural Network Initiative (SIANI) they also produced two discussion briefs ahead of the event as well as blog posts at the conference. NSAN is a follow-up to the ”old” SASNET web site that Lund University closed down in April 2016.